Rob Reiner is an actor, director, and producer best known for directing some of the most popular and influential motion pictures of the past few decades, including Stand By Me, When Harry Met Sally, and A Few Good Men. 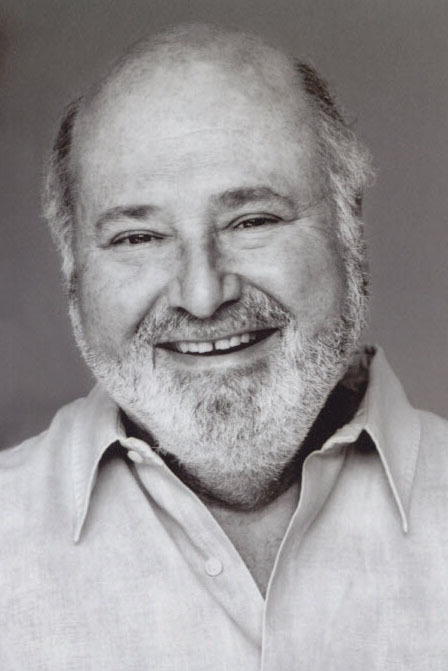 The son of Estelle Reiner, an actress and jazz singer, and Carl Reiner, a renowned comedian, actor, writer, producer, and director, Rob Reiner first came to fame as an actor playing the role of Michael “Meathead” Stivic in the landmark television series, All in the Family. “I could win the Nobel Prize and they’d write ‘Meathead wins the Nobel Prize,’” Reiner has stated. He is the co-founder of Castle Rock Entertainment. All in the Family was the most-watched American sitcom for five seasons (1971-1976) and used confrontational humor to tackle the issues of the day, including racism. Reiner won two Emmy Awards and five Golden Globe nominations for his role as “Meathead,” the liberal son-in-law to Archie and Edith Bunker (Carroll O’Connor and Jean Stapleton). Behind the camera, Reiner went on to direct many critically and commercially successful films that span many genres, from pure comedy to tense thrillers to intense drama. His work includes the Oscar-nominated movies Stand by Me, When Harry Met Sally, and A Few Good Men, as well as The Princess Bride, Misery, Ghosts of Mississippi, The American President, and many others. He is currently in production on Shock and Awe, which will star Woody Harrelson along with Alec Baldwin, Tommy Lee Jones and James Marsden.